No more lost paper time cards or messy handwriting in manually entered spreadsheets! Using TimeTec TA web based software, time is tracked accurately using biometric time clocks, or devices your employees already use such as smart phones. This will allow you to sync attendance data from anywhere around the world in minutes. Business owners, HR mangers, and accountants that once spent hours on payroll calculations are averaging a mere 15 minutes on the process. Life has become simpler with TimeTec TA, saving you hours each week and thousands of dollars each year on payroll processing. Now you can bypass manual and often duplicated data entry, while eliminating typos! Enjoy accurate employee times that are transferred seamlessly to payroll, in a few easy clicks. Thus you will be able to eliminate manual and duplicate entry. Time tracking and payroll doesn’t get any easier than that. A Bookkeeper’s nightmare can be resolved. 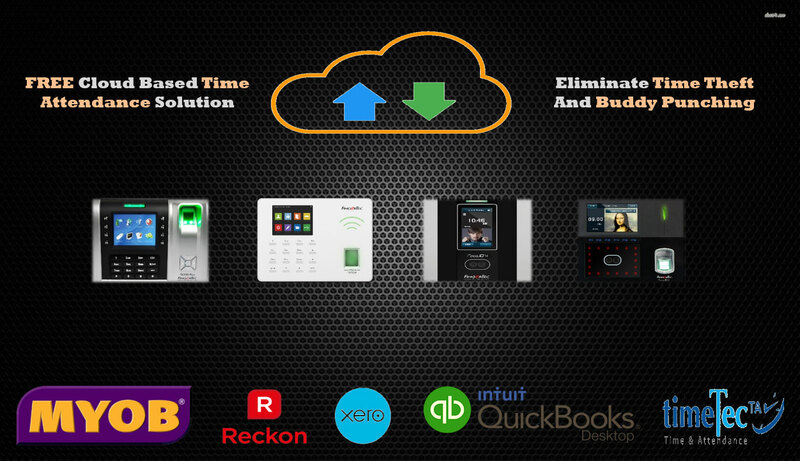 There’s no denying that businesses can cut payroll costs by automating time and attendance tracking. Not including the additional savings in payroll administration, overtime, and more. Every minute makes a difference! Being in the cloud all your data is backed up and you do not have to worry about updating your computer or server crashes. Peace of mind when upgrading computers knowing your data is secured. When using TimeTec TA, you can in addition to creating 26 different reports in Excel or pdf, you can export to major payroll accounting software’s like MYOB, Reckon, Quickbooks, Xero and other popular payroll software.